The new AVCA Coaches Poll was released on Labor Day, and a. The top 10 teams in the nation stayed the same, while there was a shuffle between the remaining ranked teams. 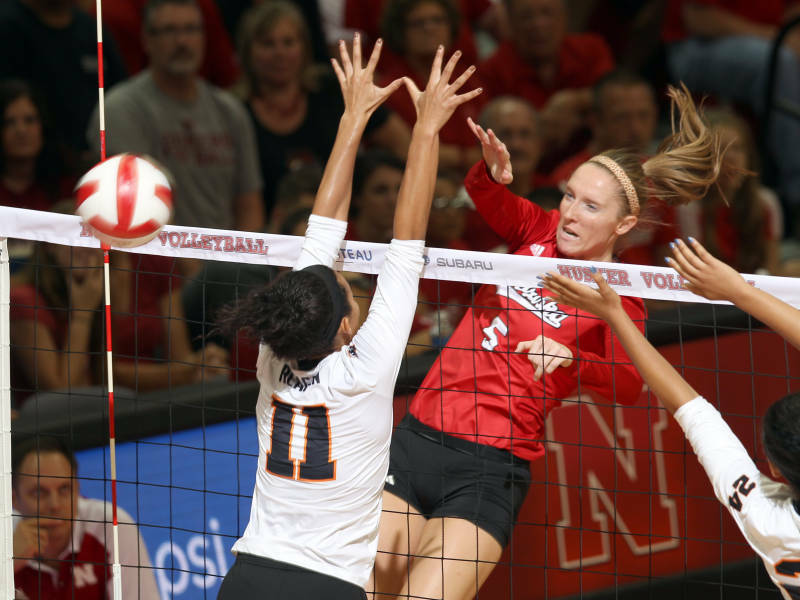 The top-ranked Nebraska Cornhuskers remained a unanimous #1 in the new poll after sweeping 6 sets over the weekend against “Power 5” opponents from Iowa State and Oregon State. While they stayed put at the top, the rest of the Big Ten conference made plenty of movement as both Penn State and Illinois fell as they both fell to 2-3 records after being swept by Colorado and Stanford each in the Big Ten/Pac-12 Challenge over the weekend. Sitting now at 17 (Penn State) and 21 (Illinois), they are now joined by fellow Big Ten teams Purdue and Michigan in the top 25. Purdue jumps from 24th to 20th and Michigan joins the polls at 22 with a perfect record of 6-0. Colorado (18), who as mentioned went 2-0 over the weekend against ranked opponents, and Santa Clara (19) also join the polls. Southern California returns after being dropped last week all the way out of the polls after a preseason ranking of 7th. Kentucky, Creighton, Louisville and Colorado State all fell out of the poll.